There is a raging debate regarding the superiority of satellite Internet connectivity and the 3G mobile connectivity that seems to have taken the cellular industry by a storm. So, what are these two terms? If you are planning to subscribe to one of these two advanced technologies for high Internet connectivity, then it is extremely important that you know everything possible about them. This will help you make an informed decision as you will be able to identify the exact needs and financial burden that each one of them comes with. Satellite Internet needs an extensive setup with the need for satellite dishes and cables that will connect your modem or computer with the satellite Internet dish. There are installation charges for the setting up of this equipment and you will also be requiring paying a nominal charge for the procurement or rent of the equipment. On the other hand, 3G Internet can be enjoyed by any customer who has a latest smartphone or tablet that comes with an all ready 3G connectivity. 3G Internet connectivity is also provided to computers by the issuing of 3G data cards and broadband cards from the service providers. The top speeds of 3G Internet connectivity can touch the likes of 2 mbps starting from a modest 144 kbps. Remember that the speed of the 3G connectivity you will be enjoying will depend on the package that you subscribe to and agree to pay for. A high speed package will mean that you are paying a higher subscription fee than a low speed connectivity package. The availability of packages and speeds will differ with the choice of the service provider. On the other hand the satellite Internet connectivity can easily provide you speeds in the range of 2mbps and can easily give you upload speeds till up to 80 kbps. You need to keep in mind the same thing about higher prices for higher speed packages as is the case with the 3G connectivity. 3G connectivity is slowly taking over as the most prevalent form of mobile connectivity and with the rising popularity of 3G data cards, this trend seems to rise. Keeping this in mind, you must also remember that the 3G reception might be of top quality in various cities and other urban centers but you might face depleting network coverage on your 3G device as you move towards the countryside. On the other hand the satellite Internet connectivity needs access to open sky space in order to be able to transmit signals to and from the satellite. This is why it has a better signal reception in the countryside and other remote locations than in the urban centers. So the next time you are confused regarding the 3G connectivity and the satellite Internet option, remember these 3 points to help you make up your mind. 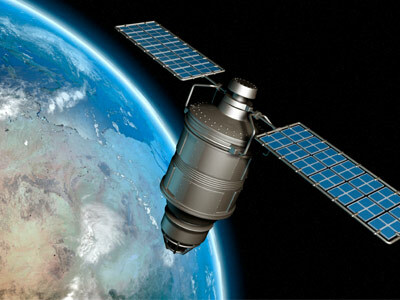 You can also visit http://www.satellite-internet.com and get more ideas regarding the same.